It’s been a year since news.Bitcoin.com interviewed Timothy “Tim Tayshun” Curry, who shared his explosive investigation and research into the Onecoin scheme with our readers at news.Bitcoin.com. Due to the nature of the evidence presented, the article went viral with over 50,000 views throughout the first week and is one of the most viewed articles in our history. We reached out for a full update, including the most recent turn of events which may shock and appall the entire cryptocurrency community. Also read: Venezuelan Bitcoin Mining Continues Despite Government Crackdown Bitcoin.com (BC): I’d like to discuss everything you and your team have uncovered over the past 13 months since you shared with our readers extensive information about Onecoin (AKA: “Onelife Network”). But, first, news.Bitcoin.com recently covered a story about Onecoin operatives “threatening to sue” a number of journalists and detractors who have openly called them a fraud. Is it true that this time an individual Onecoin ‘promoter’ has filed a lawsuit against you in Federal Court, seeking damages for “Defamation, and Intentional Interference with Contractual Relations?” Tim Tayshun (TT): Yes. 77 charges have been filed against me in Federal Court by a banker/ magazine publisher who has broadly promoted Onecoin/ Onelife (OLN). 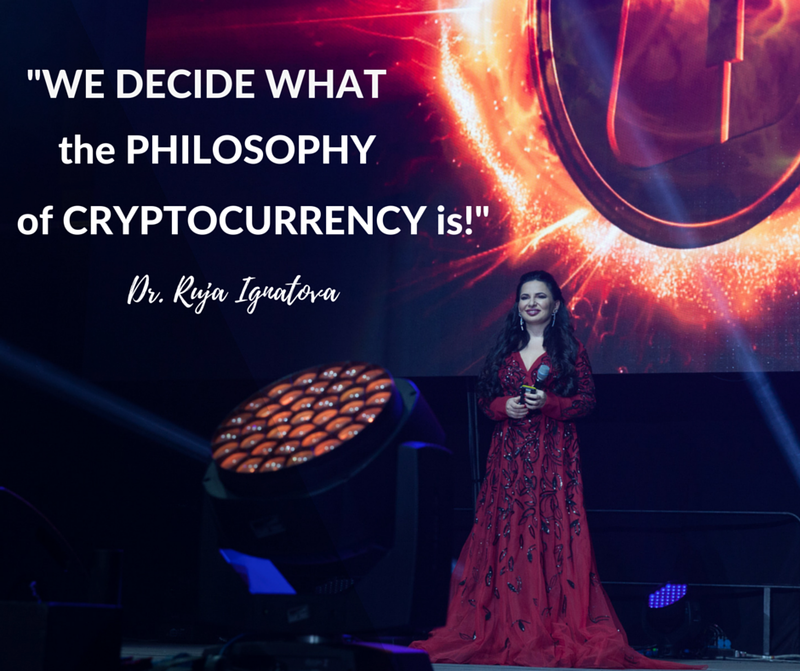 Chris Principe, the publisher of Financial IT Magazine and Fin-Future Magazine, has promoted Onecoin, Onelife Network, and Ruja Ignatova through a series of events, speaking engagements, and magazine covers (on both magazines he publishes). The nature of the lawsuit is categorized as “320 Torts – Personal Injury – Assault, Libel, & Slander.” Onecoin members are absolutely relishing in the implications! According to Ken Labine, a long-time Onecoin promoter and “top earner” from Canada, Chris Principe (plaintiff) is attempting to sue me for “millions of dollars,” on the allegation of tarnishing his reputation. This (obnoxious) video gives the narrative to the drama, and frenzy, as seen from a top Onecoin “Leader’s” perspective. Labine claims in the video that he too will look into a “class-action lawsuit” against me for the “victims” I have scared away from the “Onecoin opportunity (sic).” Labine has also published completely false and defamatory information about my family and myself in videos, which I have had backed up as evidence to the ruthless lengths ‘Onecoinists’ will attempt to destroy the credibility of those exposing their scam. Here’s one of many examples. My last interview with news.Bitcoin.com covered a lot of information. Particularly, we showed that Chris Principe’s (The plaintiff) magazine, Financial IT, “Ruja Cover” (AKA: “February 2016 Issue”) was nothing more than an exact reprint of a “January 2016 Issue,” but with a different cover and two-page insert. BC: So, in your opinion, Principe’s participation was not just a one-time mistake? TT: Oh, God no! And by the way, while Principe has filed this Complaint as an “individual,” or at least by appearance, he is inextricably sewn to an on-going Onecoin scandal based on his own choices and actions alone, and for which he has still not removed himself from, despite the negative global publicity and even sanctions! Principe’s name, statements, and videos promoting Onecoin appear in at least a dozen languages around the world. It seems to me this lawsuit aims to both deflect any personal responsibility and to intimidate other Onecoin detractors, not just myself. To be clear, Principe’s own voluntary actions and extended participation in promoting Onecoin speaks for itself. Why he seeks to place the blame of negative recourse to his “professional reputation” on myself, when I am only one of many who have publicly exposed this… I’ll leave up to the readers to decide. STATEMENT OF SUPPORT “Scams like Onecoin have a negative impact on the entire cryptocurrency community. With that in mind, we are happy to assist Timothy “TimTayshun” Curry, a long-time Coinfest organizer and promoter of free education on cryptocurrency (ie., www.newafricaradio.net), whose personal crusade against Onecoin has prevented many potential victims from falling prey to their obvious scheme, as well as educating victims about real cryptocurrency. The signatories to our secure 3-of-6 multisig wallet will ensure that any donated funds left over (after litigation-related expenses) go directly to spreading true cryptocurrency.” – Andrew Wagnar, Founder, Coinfest.Org What do you think about Tim’s investigative research? Let us know in the comments below. Need to calculate your bitcoin holdings? Check our tools section. The post Part Deux! Onecoin Buyer Beware: The Definitive Ponzi Exposé appeared first on Bitcoin News.